will make you feel as if you actually receive a waitress' services! The idea of healing salon courses being offered as a menu in a cafe was quite interesting. 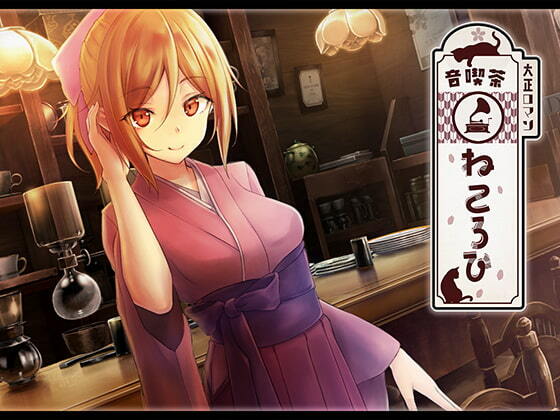 Starting as a new customer you are welcomed by the young freshly-appointed third generation female shopkeeper Suzune. Her beautiful voice and clear enjoyment of working in the cafe makes the experience really pleasant(the quality and detail of the voice acting never ceases to amaze me). At first it seems like there is no story, but there are subtle hints of time passing as you visit. During the various quite enjoyable courses you progress from newbie to a regular and it seems that you visit quite often, as Suzune slowly changes her way of addressing you(just ask her out already, geez). A sequel with more courses and maybe some romantic development in the future would be great! Listening to this is work was really great and relaxing, I highly recommend it! Also don't forget to pick up the free trial course as well.